8K screens can reproduce stunning images, but there's almost no content. Samsung and LG Display are both talking about 8K at this week’s CES, but don’t get too excited just yet. Most living rooms still don’t have 4K TVs and those that do are starved of content, save for a bit of sports, some movies, and the same few NASA and documentary video clips. Sure, Netflix and Amazon have a strong library of original programming in 4K, but the fact remains that traditional cable still rules the TV landscape. 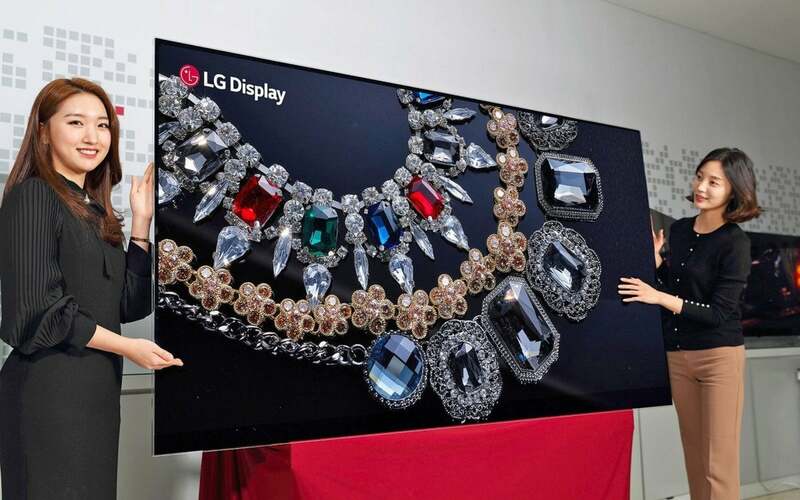 So how come 8K television is becoming a thing? Part of the reason lies in Japan, where the country’s main public broadcaster, NHK, has already started trial 8K broadcasts by satellite. A full service is due in December and in preparation for this, TV manufacturers are developing TV sets. In North America, there’s not a sniff of 8K on the horizon but the market is so competitive that TV makers are eager for anything that can give them an advantage over the competition: enter 8K. The first sets are sure to come with bragging rights, but don’t expect any content. At an event in Las Vegas on Sunday evening, Samsung showed off one of its new 8K screens alongside a 4K screen. The objective was to demonstrate the upscaling engine—that seemed to work well but underlined the experience consumers can look forward to: upscaled content, but little or nothing in native 8K. 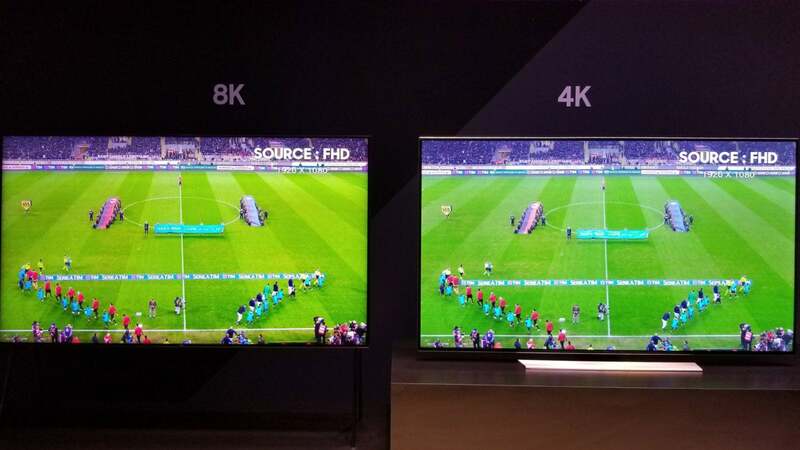 An 8K and 4K display side-by-side during a Samsung demonstration in Las Vegas on January 7, 2018. If you’re thinking about future-proofing, then 8K is probably coming at some point. But don’t bet that these new TVs will be compatible with future services without a set-top box. When it does come, it promises to improve on today’s 4K content. In Japan, the 8K signal includes HDR color information and 22.2-channel multi audio. NHK was the first in the world with regular high-definition broadcasts, beginning with satellite broadcasting in 1989, and began research into 8K TV around 2000. It has steadily been building up a library of 8K footage and plans to broadcast the Tokyo Olympics in 2020 in 8K.